Sorry we can’t allow under 5’s to climb at our centre. A member can supervise with a 1:1 ratio. The experienced adult must not be climbing and must actively supervise the children. Pre-registration is required for both supervisor and child. A member can supervise with a 1:2 ratio. The experienced adult must not be climbing and must actively supervise the children. If you have more than two children you can always book them in on a Kids club session. Pre-registration is required for both supervisor and child. A member can supervise with 1:2 ratio. The adult may climb if the children in question show enough maturity not to be a danger to themselves and others. Repeated flaunting of centre rules by the children will result in you being asked to leave the mats. If the child in question has a lot of experience using bouldering centres we can carry out a junior sign off assessment so they can climb unsupervised. Pre-registration is required for both supervisor and child. Junior sign off assessments will need to be booked in advance. 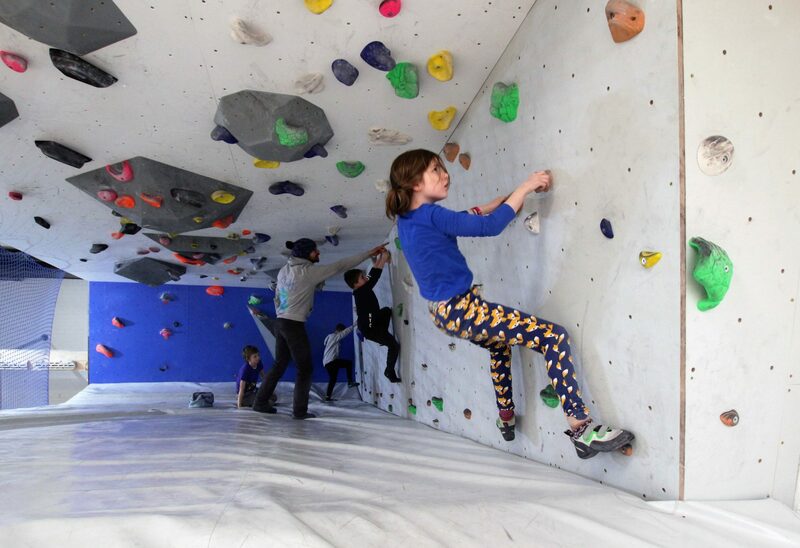 We cater for all ages of kids here at The Climbing Project. Our two most popular organised groups are the 7 – 11yrs Climbing Club and 12 – 15yrs Climbing Club. Clubs are run almost everyday of the week and weekends too, so with all equipment provided and no experience needed, they’re a perfect place for youngsters to learn about climbing in a fun, safe and comfortable environment. If you’re interested in Climbing and want to share it with your children or other family members the Family Introduction is perfect to get you climbing together. This is a one hour session that covers how to supervise your children to keep the family safe. We will cover basic techniques making your experience more enjoyable allowing you to come down in the future without booking in a session.